Overall, I love the Nexus 7 tablet, but one thing that I truly dislike about it is having to press the Power/Lock key to lock my screen. To begin with, it's on the right side of the device, and I'm accustomed to it being on the top on other devices, like my phone. Secondly, it's placed on a curve, which makes it awkward to press. If you're like me and dislike locking your screen with the Power/Lock button, then there's another option—an invisible widget on one of your home screen pages that will lock your Nexus 7 for you. Even if you don't mind the button on the side, it's still nice to have another locking option. 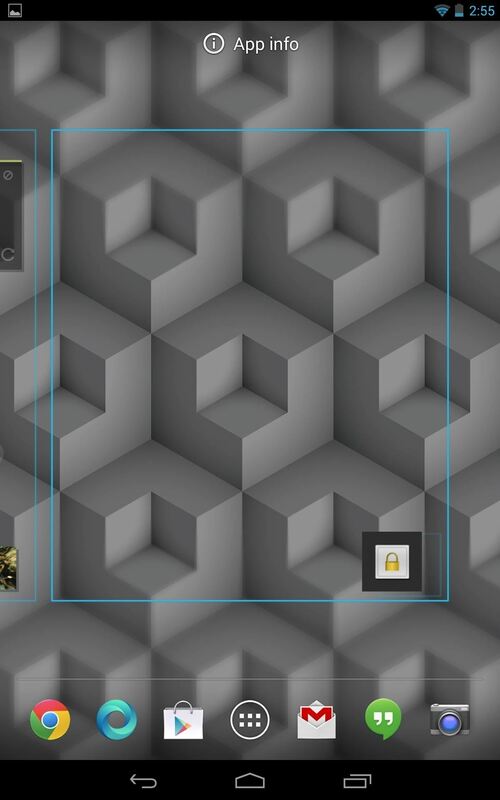 To make a lock shortcut on our home screen, we'll be using the free Invisible Lock Screen Widget by Android dev Yast, available in Google Play. There is also a donate version of the app, if you want to help support the dev. Both have exactly the same features. Once the app is installed, locate your widgets by opening your menu and sliding over until you find your new Invisible Lock Screen widget. Press and hold the widget and find a place on your home screen to place it. Now, this widget is invisible, so it's really important that you remember where you place it, otherwise you'll annoy yourself as you frantically press random areas on your screen trying to find it. After placing it, you will receive a notification requesting to activate the widget. Select Activate. You're now ready to enjoy locking your screen with just the touch of an invisible widget that only you know where resides. What Is "Use Double Locking"? If you open up the app from the App Drawer, you'll see that Use double locking is turned on. If you're having issues with turning off the screen using the Invisible Widget, try turning this option to off. 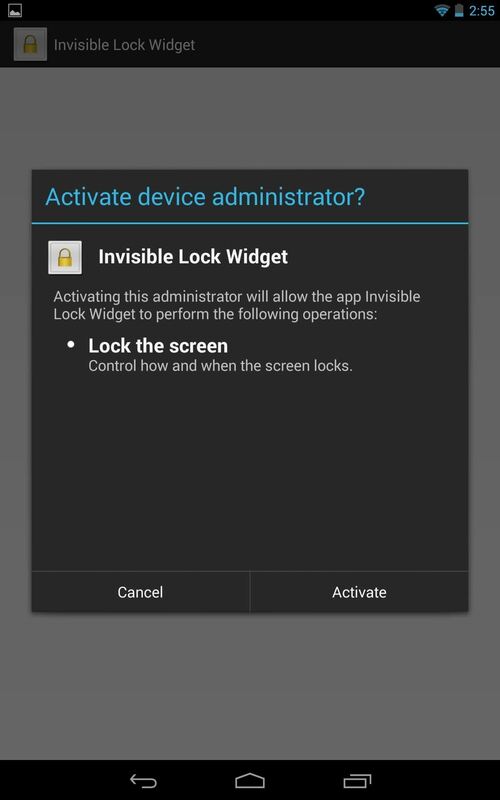 I didn't have this problem on my Nexus 7 (running Android 4.3), but the dev states that some devices running Android 4.0 and above might have issues, and that turning Use double locking could fix it. Now, let's cover uninstalling this softMod. 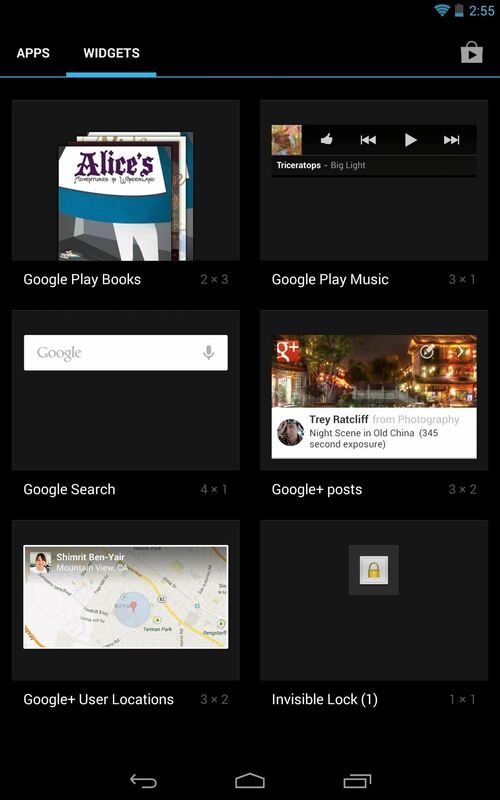 In the app reviews on Google Play and elsewhere, many were having difficulty uninstalling this widget. Initially, so did I. 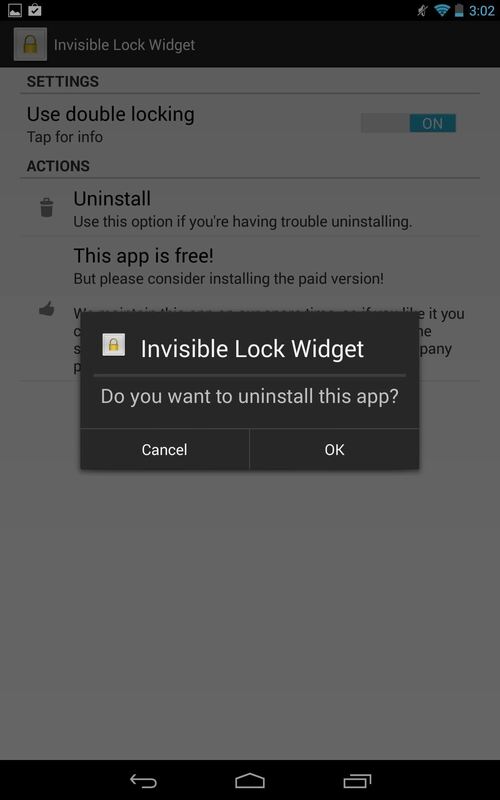 This application is a little illusive, but don't worry, you can definitely uninstall it. When you select the app icon in your App Drawer, the application opens to a screen with the sole purpose of uninstalling it, which in many cases works just fine. In my case, I chose to uninstall but noticed the widget was still present. If this happens to you as well, just follow these steps. 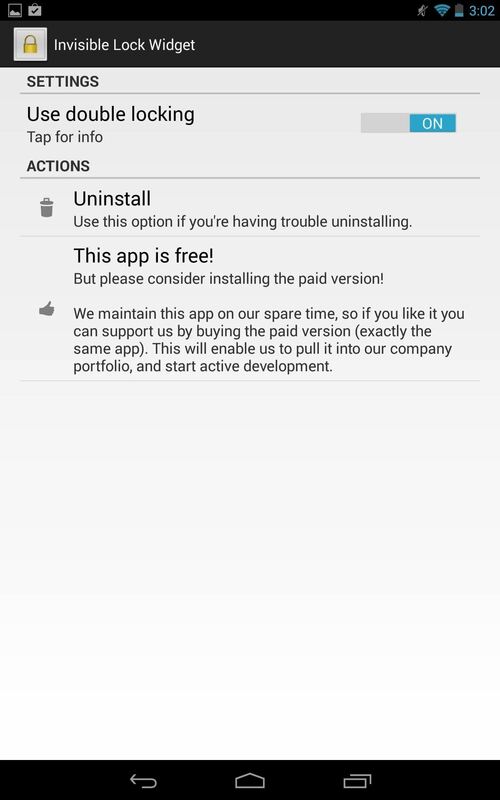 Long press the app icon and drag it above to the Uninstall option. Go into Settings -> Apps and locate Invisible Lock Screen. Select Uninstall and you'll receive a notification informing you that it is an active widget and if you'd like to deactivate. Select Yes. The widget will deactivated, allowing you to uninstall it. After I did this, I downloaded the application again, but this time had no issues with the initial uninstall option.